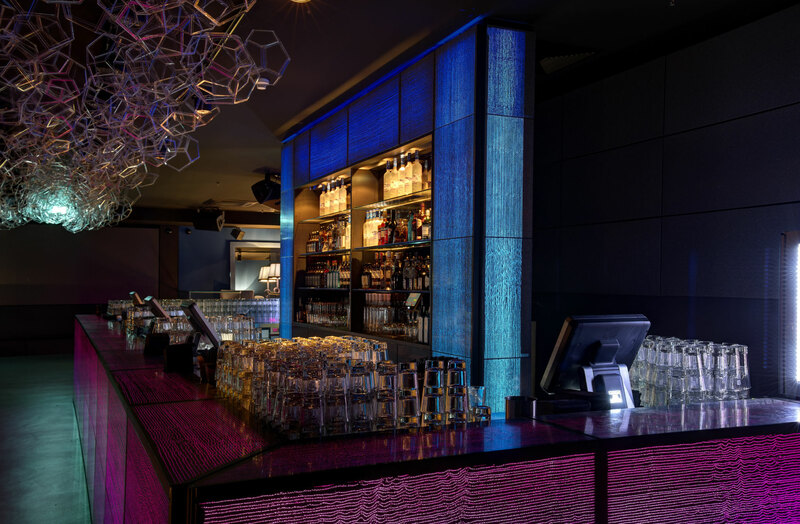 THE ROOM is a bar an club at the Hamburg Radisson Blu Hotel near Damm- tor. 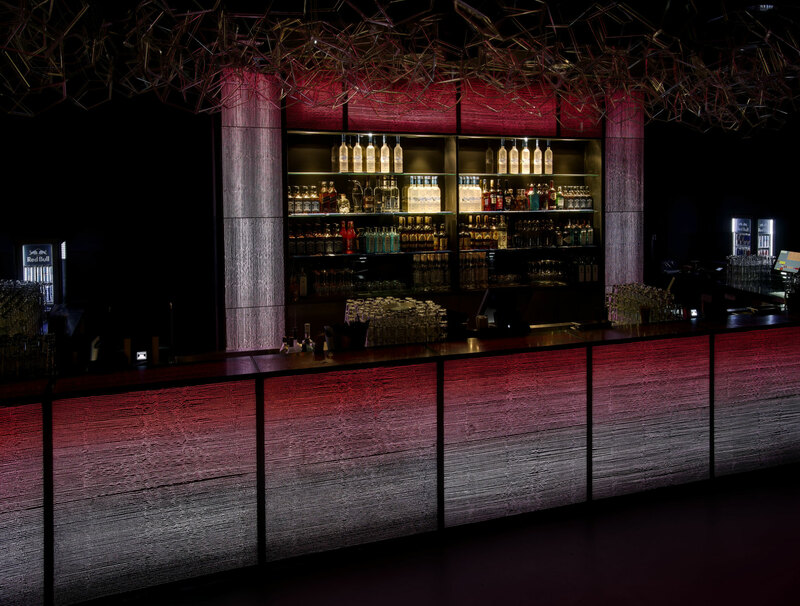 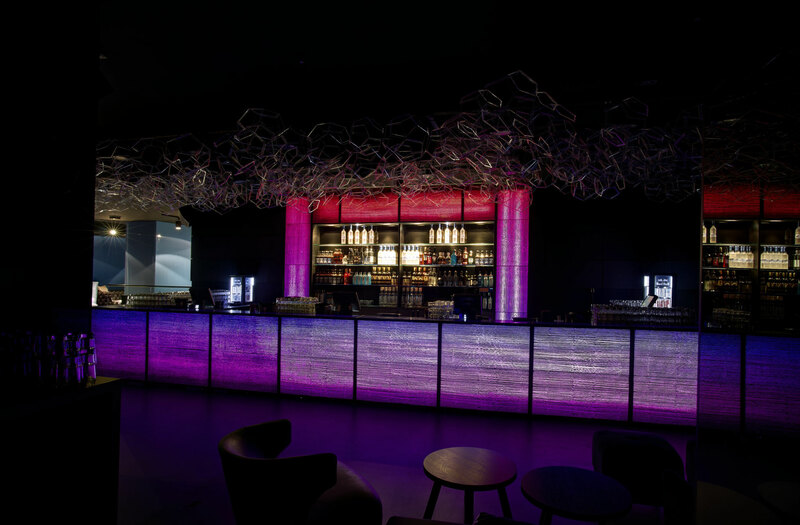 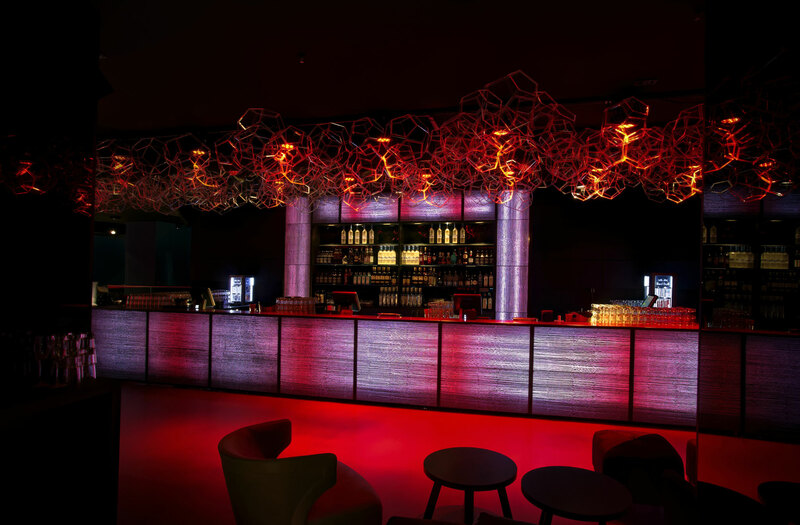 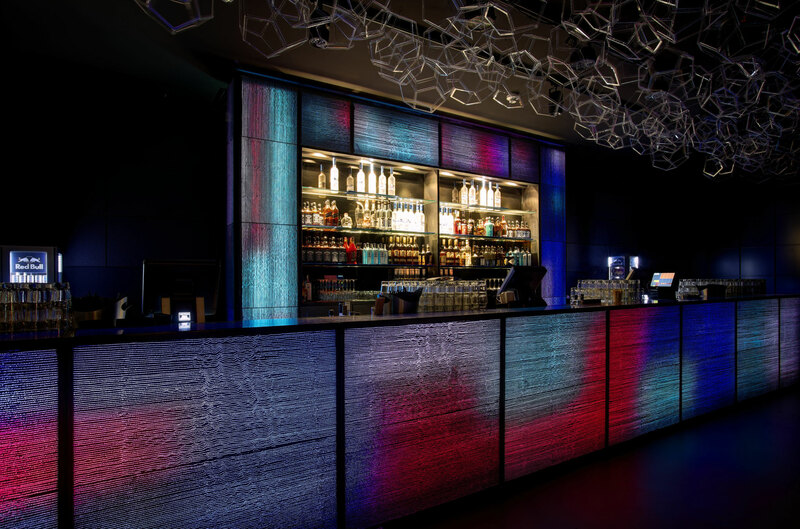 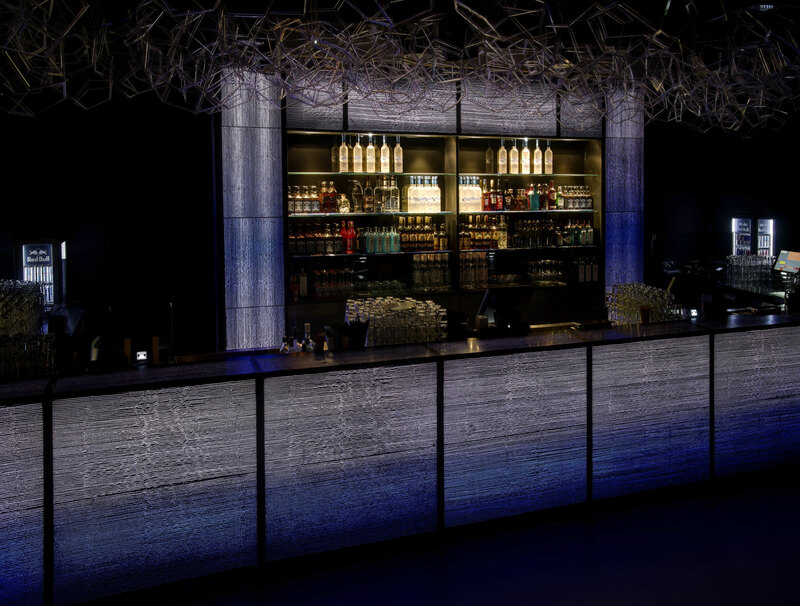 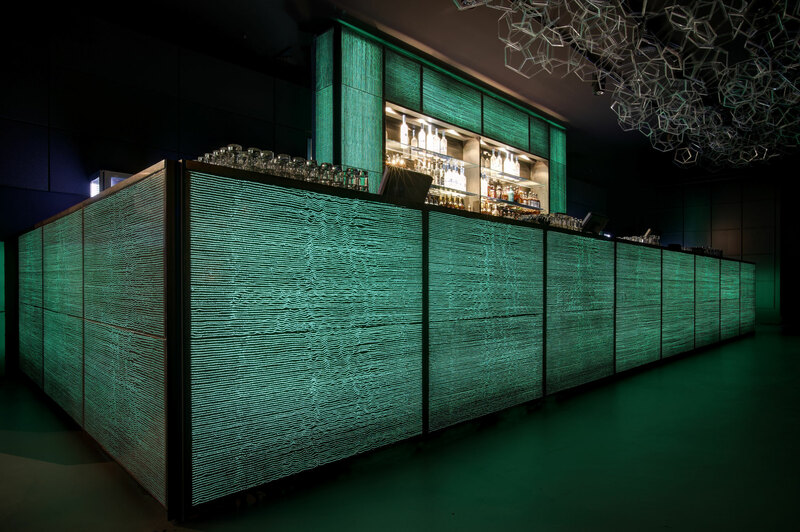 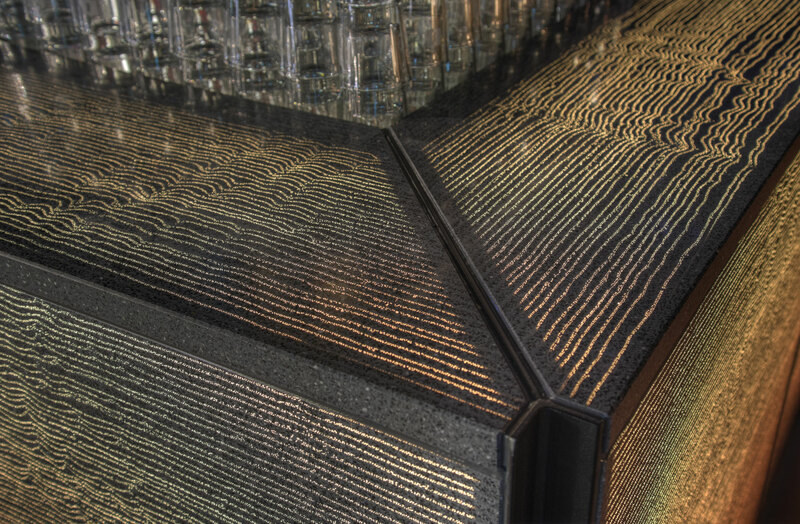 For the design of the bar in the club area the architect chose translucent concrete. 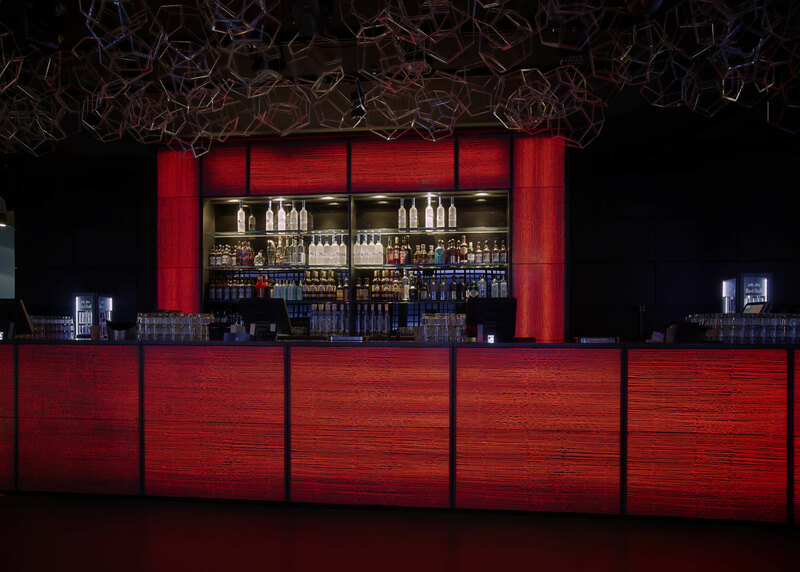 Integrated into the light control of the entire room, the bar and the back wall can be illuminated in sync with the music.